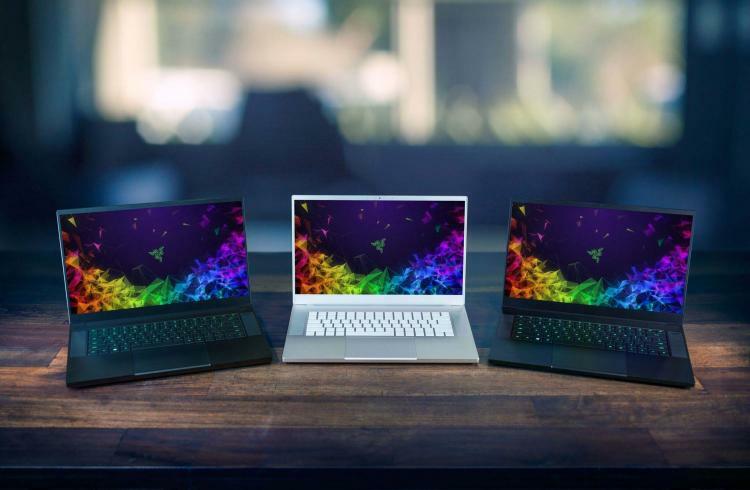 Razer presents the new generation Razer Blade 15 base model along with the new Razer Phone 2 gaming smartphone. The new Razer Blade 15 base model features improvements and additional premium features such as more storage and connectivity options. The Razer Phone 2 also features huge improvements over the Razer Phone 2017 offering up to 30% more performance than its predecessor. The new generation Razer Blade 15 base model will be including a dual storage configuration with an M.2 SSD and 2.5-inch HDD to provide the blazing speed needed for fast boot up and loading times and a generous storage space to store games and files. Users will also be able to upgrade both storage components. The Razer Blade 15 offers a new single-zone RGB keyboard that supports full key backlighting Powered by Razer Chroma. The 0.78-inch thin chassis accommodates a Gigabit Ethernet port for enhanced connectivity while allowing for a bespoke heat pipe thermal management system. The Razer Blade 15 base model still features the signature CNC aluminium chassis. Inside packs an 8th generation Intel Core i7-8750H 6-core processor and an NVIDIA GeForce GTX 1060 Max-Q design graphics. The Razer Blade 15 packs 16GB of upgradeable memory and a 15.6-inch 1080p @ 60Hz refresh display. The Razer Blade 15 base model starts at $1,599USD. The Razer Blade 15 will also be offered in the Mercury White Limited Edition featuring a matte white finish, black USB ports, and a non-illuminated, tone-on-tone Razer logo. The Razer Blade 15 base models are now available at the Razer store, the Mercury White Limited Edition will be available this Q4 2018. 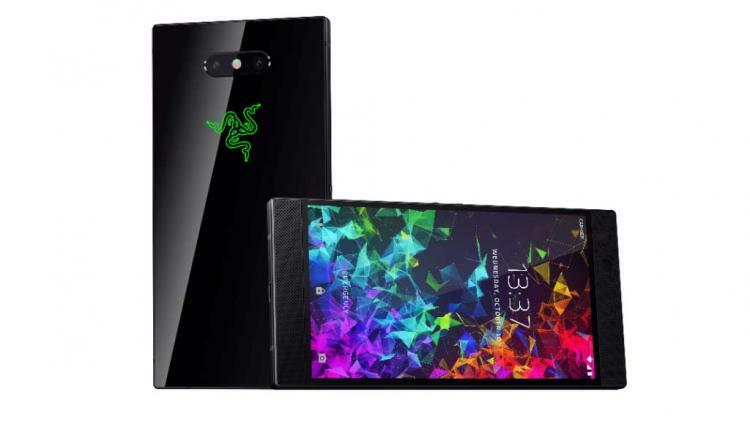 The new Razer Phone 2 is powered by the Qualcomm 845 Snapdragon chipset and Qualcomm Adreno 630 graphics processing unit (GPU) offering up to 30% more performance compared to the first Razer Phone launched in 2017. The Razer Phone 2 features the Razer vapour chamber cooling system, an industry-leading thermal cooling for mobile phones. The Razer Phone 2 packs a 12 MP wide-angle lens with optical image stabilization (OIS) and a 12 MP telephoto lens with 2x zoom. It has 8 MP front-facing camera that supports video streaming at full HD resolution. The Razer Phone 2 is also now powered by the Razer Chroma wherein the Razer logo packs customizable RGB lighting and provides app notifications. The Razer Phone 2 has a USB-C connection with support for Qualcomm QuickCharge 4+. The Razer Phone 2 has wireless charging capabilities as well. The Razer Phone 2’s gaming-oriented features include the 5.7-inch UltraMotion IGZO display with 120Hz refresh rate. The new display is also 50% brighter than the first-generation Razer Phone. The Razer Phone 2 packs dual front-facing speakers powered by Dolby Atmos. It packs a 4000mAh battery that offers better battery life than the predecessor. The Razer Phone works with LTE Gigabit networks with download speeds up to 1.2 Gbit/s, allowing for 20 percent faster downloads while on the go. The Razer Phone 2 will be available starting at US$799 MSRP in Mirror Black and in a Satin Black by Q4 2018. Pre-order is now available. Learn more about the Razer Blade 15 gaming notebook here. Learn more about the Razer Phone 2 here.